Sony's phones have long used the company's custom Xperia Launcher, which has offered some innovative features over the years. For instance, it was the first OEM to offer Google Feed integration. Sony fans could even join the Google+ beta community to get access to the latest builds. That's coming to an end soon. 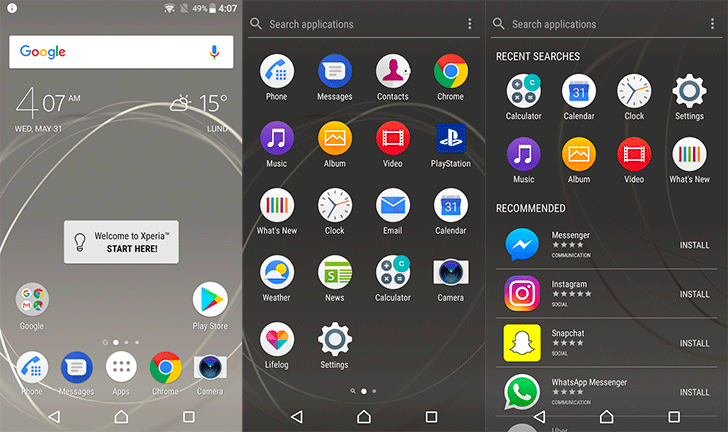 Sony has announced the end of feature development on the Xperia Launcher, and the beta community will vanish in a few weeks. Sony dropped a new beta build of the launcher to soften the blow—the announcement didn't come until the end of the post on G+. Here's what the last major update to the Xperia Launcher brings. The launcher is now entering a "maintenance phase," so there won't be any new features. Sony says it will continue supporting the launcher with minor updates for "as long as deemed necessary." Since there aren't any new features to test, the beta community will shut down in the coming weeks. This comes barely a month after Sony killed its weather app, so this is starting to look like a bit of a trend. The Xperia Launcher was already starting to look a bit dated compared to other OEMs. Presumably, Sony will use a different launcher on its phones; maybe something based on the Pixel Launcher. It can't just use the same launcher features forever, right? Right?! The moderator of the Xperia Home beta community has explained that development on Xperia Home is being ceased because a new launcher is in the works. This isn't entirely surprising given that it wouldn't really make sense for a launcher used on so many phones to just sit stagnant, but it's a nice bit of confirmation for anyone who was worried at all.